does New Zealand know best? This article is by Karl Schaffarczyk, law student at the University of Canberra. It first appeared on The Conversation and is replicated here with permission. analysis We know online piracy exists; we know governments want to stop it – but what are the options? Richard Freudenstein, CEO of Australia’s largest pay-TV provider Foxtel, has joined the chorus of entertainment industry bodies to call on the government and internet service providers (ISPs) to clamp down on online piracy. During his speech to the 2013 ASTRA conference last week, Freudenstein demanded that a new anti-piracy enforcement regime be delivered before the National Broadband Network (NBN) is rolled out “because with super-fast broadband the floodgates could really open”. Freudenstein’s belief that Foxtel’s business model would be under threat from the NBN is scarily similar to the recent wailing and teeth gnashing of the music industry: the faster internet speeds the NBN will bring will lead to dramatic increases in the illegal downloading of TV shows. Peak music industry bodies claimed the NBN would be a “disaster” for copyright infringement in a recent report. In Australia, talks have been held in recent years between content owners and ISPs, with the aim of agreeing on a “graduated” copyright warning and enforcement system – that is, a system in which users who breach copyright are sent a series of warning notifications. Repeat offenders under this type of system risk punishments such as bandwidth reduction and possible temporary account suspension. Talks were again held by former attorney-general Robert McClelland during 2011/12, but fell apart after the major ISP iiNet withdrew from the talks, citing concerns that the entertainment industry was only attempting to force ISPs to act as the police to enforce a broken system – one which fails to meet the demands of consumers. Freudenstein named New Zealand in his speech among a number of nations who have a co-operative enforcement systems between ISPs and content owners. So what does New Zealand’s co-operative system look like? And could it work here in Australia? New Zealand operates under a three-strikes system. Introduced in 2011, the requirements of the Copyright (Infringing File Sharing) Amendment Act oblige ISPs to issue infringement notices to internet account holders when content owners (rights holders) allege file-sharing activity by the end users of that ISP. The scheme is structured as “guilty until proven innocent”. A rights holder’s allegation is considered to be sufficient evidence of infringement, unless the account holder can disprove the claim. No matter who carried out the infringing behaviour, account holders are held solely responsible for infringements. Issues relating to children using their parents accounts, neighbours stealing Wi-Fi, and small businesses providing internet hotspots have been raised by media and in blogs. 1) The first infringement notice issued by an ISP to an account holder is called a detection notice. That notice must spell out the details of alleged infringement, warn the account holder of the consequences of continued infringing behaviour (such as file-sharing), and explain how the notice may be challenged. The infringement notices must be sent to the account holder by the same method in which bills are delivered (i.e. online or in posted paper form). 2) If the file-sharing activity continues beyond 28 days from the date of the detection notice, the ISP is then obliged to issue a warning notice. The requirements of this notice are similar to the detection notice, and it must also make reference to earlier notice, and warn of the consequences of continued file-sharing. 3) An enforcement notice is then issued where rights holders allege file-sharing activity has continued beyond a further 28 days. Once the enforcement notice has been issued, the rights holder is provided with a copy of the enforcement notice, but that notice must not contain the name or contact details of the account holder. The rights holder is then entitled to have the matter heard before the New Zealand Copyright Tribunal. The applicant, the Recording Industry Association of New Zealand (RIANZ), has claimed thousands from each account holder, that amount being the price of purchasing the music legally multiplied by an estimated 90 possible uploads, in addition to deterrent amounts and reimbursement of fees incurred. In one matter, RIANZ claimed a whopping NZ$3,931.55. In each case the Copyright Tribunal awarded the price of purchasing the music legally without any multiplier to account for uploads. The highest award under this head of damages was NZ$7.17, which was arrived at by using the iTunes rates of NZ$2.39 per song, multiplied by three infringing songs. This has occurred in three cases: here, here and here. The claims for reimbursement of fees paid to the ISPs were in each case reduced in accordance with legislation to contributions of NZ$50, representing approximately two-thirds of the claimed amount. Reimbursement of the NZ$200 tribunal fee was upheld in each case. The deterrent fee was considered by the tribunal according to the culpability of each account holder. The tribunal varied between awarding nothing at all and NZ$180 per song. With the largest amount awarded to RIANZ falling short of NZ$800 – after ISP and tribunal fees are removed that amount falls to around NZ$525 – it is easy to see that the recording industry might feel a little short-changed. Indeed, in the most recent case, involving infringements that were alleged to have occurred while the account holder was serving in Afghanistan, the tribunal awarded just NZ$255.97. This resulted in a loss to RIANZ of at least NZ$20 once the ISP and tribunal fees are deducted. Given the time and effort RIANZ must go to in order to enforce its claims – and the limited resources of tribunals – the tiny returns from their enforcement action make it hard to imagine this system being viable in New Zealand, let alone worth setting up in Australia. Richard Freudenstein, is this really what you want? Karl Schaffarczyk does not work for, consult to, own shares in or receive funding from any company or organisation that would benefit from this article, and has no relevant affiliations. This article was originally published at The Conversation. Read the original article. “I have just returned from deployment overseas [in] Afghanistan and was not aware of music being downloaded. It is very difficult to determine who in the household is responsible for downloading music as flatmates are currently deployed around NZ. going through transitioning from military life in Afghanistan to life back home in NZ, and I’m not fit to tackle this allegation made against me. This law is just lubricious , a young man serving overseas has this to come home too, it turns my stomach. however his legal representative persuaded the above would be more suitable. This situation, in a nutshell, summaries my concerns with just about every effort the media industry has used so far to stem online piracy. Namely, an IP address is NOT a person. Its easy to track an event to the door of a property, its not so easy to determine where on the property after that it occured, and thats significant. I share my connection with a flatmate. There are ~15 devices that can access my network. Which one did the downloading? Its only at that point you can identify the guilty party, and its a level you cant get to without forensic investigation of every device linked to the modem. Which is fine by me, but an expensive exercise to run when the burden of proof is on the accuser. Having said that, of all the methods I’ve seen so far, the NZ model appears to have the most practical penalties. High enough to be a deterrant, low enough not to destroy someones life for what amounts to jay walking. Poor guy. :\ So basically this law just lets the music corporations punish innocent people for things they never did. Or perhaps another way of looking at it is the law allows corporations to punish people for crimes they have facilitated. My (very limited) experience with Tribunals here in Aus suggests they tend to be slow pondering devices and tend to err of the side of the defendant – much as this article suggests for the NZ case. Politicians know this before they set laws in place. So while the NZ laws may seem onerous, the penalties being handed out suggests that the NZ politicians understood the need to balance pressures from the rights holders who most reasonably expect to get paid for their wares and pressures from the general population who wish to engage in wider cultural pursuits irrespective of ownership. The NZ politicians have arrived at a reasonable tactically sound solution that meets the countries legal obligations while encouraging the content industry to find commercial solutions to piracy. Contrast this to Australian solutions like mandatory full body scanning without opt-out at airports, discussions on mandatory data retention, the passing of national and international data sharing legislation a few years back despite significant privacy concerns being raised, the loss of the right to silence in the face of police pressure (NSW) and of course the extensive powers already granted to police and compounded on an almost monthly basis. We would be lucky to have politicians interested enough in representing the general population to have NZ type solutions. “So while the NZ laws may seem onerous, the penalties being handed out suggests that the NZ politicians understood the need to balance pressures from the rights holders who most reasonably expect to get paid for their wares and pressures from the general population who wish to engage in wider cultural pursuits irrespective of ownership’. Ok, I checked out techdirt, noted the articles and read the comments from the article related to this one. I am sorry but copyright and property laws go back way longer than the Internet. There are hundreds of years of legal precedent across jurisdictions around the world. If NZ is a nation of laws then they have no choice but to formulate a response to piracy consistent with these ideals. Turn down the hatred for a bit and look at what the NZ government has done. Had they done nothing, the rights holders would be wronged and NZ would be in breach of international obligations. Had they thrown up their hands and allowed the American approach then you would be moaning about hundred thousand dollar settlements plus costs based upon civil actions that only require a balance of probabilities standard of proof. What they have done is put a tribunal in place, constrained costs and payouts and can exert further influence behind the scenes by allocating or not resources to this vehicle. This tribunal not only allows the rights holders to have their day in court but also protects the wider population from legal trolls sending out notices of extortion – as we have seen in the US, UK and as started to occur here in Aus / QLD. There are valuable lessons in politics here for those that are willing to open their eyes (no one is happy so both sides will have to shift). Sadly those arguing entitlement who merely wail and gnash their teeth do their cause no favours. I have a real problem with guilty unless proven innocent, as per example above the guy was not even in the country yet because the Account happened to be in his name in a shared household he cops it, what are you supposed to do every time you leave your home change the account name to someone that is at home? Just wrong, if the rights holders feel so wronged let them do the legwork and find who the culprit is and not blame an innocent man. He did not commit the act but instead facilitated it – this is important and there are many legal areas where facilitation lumps you in with the guilty party. That he was a soldier serving in a theatre of occupation does make the rights holders loss any less relevant (even though it is their war). The soldier recognised his part in the process and took it on the chin reflecting well on his character. Actors in the justice system enjoy an enormous range of discretionary powers and it is likely that should an individual turn up who genuinely had no knowledge of how to secure their internet account, had absolutely no idea of what their peers were doing on it and had not received the notices or had not known where to seek assistance upon receipt of the notices then the tribunal would rule favourably in that case. All this without the hassle of having your equipment seized for forensic analysis or facing enormous costs for what is a petty crime. However, if we want to eliminate this aspect of uncertainty then we move into a space whereby every person/session on the internet requires ID info in metadata or stored somewhere on session logon. Doing nothing is not an option – NZ is party to WIPO and you can only tie things up in talks and committees for so long. The NZ law should also rouse its sleeping millions from their slumber. They have dodged a bullet so far, the law offering deterrent and protection in roughly equal measure. The true fight is ACTA and TPP. If the youngish (under 50) people of NZ cannot come together and fight these abominations then the 3 strikes wake up call has been for nothing. Funny how the Music / Movie industries are going to these extreme measures, while unwilling to adapt to new revenue models and streams of income.. They need to Embrace file sharing in every way possible. Spotify solved my music needs but the movie / video industry have yet to catch up. Does anyone remember the dramas the music industry tried to start when Spotify was launched? End of the world stuff and all that at the time, yet fast forward to now and they never mention it. Why? Because it works. But I’ll always remember their smear campaign to stop it from launching, as an example of how the industry only advances by being dragged kicking and screaming. Napster did the same, and despite the industry’s victory over that particular name, paved the way for iTunes. With little to no help from the music industry. Those of us in NZ tried to fight this one a lot, ended up being a number of protests over it and enough political heat that they dropped the most contentious part of the law, which was to include legalisation to force ISPs to disconnect users who infringed on content. Sadly all the pressure wasn’t enough to stop this flawed legalisation making it’s way through government in it’s current state, although a few parties voted against it (eg NZ Greens). The legalisation was also advertised as “protecting NZ artists”, citing examples of piracy with NZ made film content. To date, there have only been cases involved large American artists (poor musical taste fines?) for song downloads, no film downloads and no NZ artists. For those of you interested in ongoing internet freedom and privacy related developments in New Zealand, Tech Liberty is an excellent site that reports accurately on many of these issues. They should just do as the police do with speed cameras. They have your licence plate and car in the picture and unless you have proof that someone else was in charge of the vehicle, the fine (and demerit point penalty) is yours. I am still bewildered as to why people believe the rights of the content owner should be less than those of the rights infringer or those who facilitate the infringement of the right which is guaranteed under Article 27 of the UNIVERSAL DECLARATION OF HUMAN RIGHTS which states that: “Everyone has the right to the protection of the moral and material interests resulting from any scientific, literary or artistic production of which he is the author”. Even in peed camera disputes you still have the opportunity to go to a Local/Magistrates Court where the prosecution has to prove beyond a reasonable doubt that you were actually in that vehicle and ALL Due process must be applied. Whereas in the tribunal situation this article is about though there is Procedural Fairness (not like in the USA thankfully) the onus is on the respondent to prove they didn’t do it and the proof is upon balance only. Being held responsible for other people’s crimes is fine according to you right? What precisely does it say about that in the declaration of human rights? YOU WILL NOT BE HELD RESPONSIBLE FOR THE CRIMES OF OTHERS EXCEPT IF SOMEONE THEY KNOW BREACHES ARTICLE 27 IN THEIR HOUSE. Lets not forget Article 21(3) which I’m sure ALL governments adhere to when agreeing to pander to these groups. You think that the rights of copyright holders are being treated less than citizens? The question should be why are citizens being treated less than copyright holders? Laws are being written up that clearly swing the balance towards the copyright holders, which clearly goes against the will of the people. But just where is Australia at with copyright violations from the movie ~ music industry right now? Theoretical: So I’m Dling a movie it gets detected my ISP gets notified, what then ?? I’ve never been really clear on what happens after a ISP gets notified about copyright violation here in AU..
tpg pass on the notice but nothing more. thanks for the answer.. I’m currently with telstra bigpond but no need to DL TV series anyways since foxtel introduced the shpow in AU 33 hours after broadcast in US for justified and other shows. Well I expected that this would come up again. Im also not surprised that Foxtel are having a hand in this. Foxtel is more interested in maintaining its current business model rather than updating itself to cater to the “pirates”. I used to pirate half of my music and then spotify came along, now I have no reason to and I’m happy to pay the subscription price. If Foxtel provided a video version of spotify I would have no reason to “pirate” the second season of the simpsons. Why doesn’t Foxtel provide an online service? That way they could benefit from the NBN, rather than seeing it as a risk. It seems to me that too many media proprietors (and content owners) are way too scared of change. Which ultimately means that when change occurs they will lose out. Instead of accepting that change happens and rolling with it, the resistance costs far more. Ars Technica published an article recently about music piracy (http://arstechnica.com/business/2013/03/new-research-music-piracy-should-not-be-a-concern-for-copyright-holders/). No real surprise, pirates end up buying more music. Of course, the music industry disagrees. Sometimes, when Parliament passes a good law, later generations forget why that law was passed, and, instead of celebrating the reason it was passed, focus on thits problems and inconveniences. In the case of patent and copyright law, these laws came into being for two completely different but highly connected reasons. The first issue was the need to encourage creative people to get creative – to paint, write and to invent. The second issue was to set up a way of allowing them to get paid for their efforts. Today, thanks to the efforts of countless corporations and political lobbyists, everybody knows about the need for creative people to get paid (or, at very least, for the corporations and lobbyists to get paid). Less attention – indeed, almost no attention – is given to the corresponding need for the community to have affordable access to the products of the creative people whom the corporations claim to represent. In commerce, the ‘value’ of a product is said to be the price that somebody else is willing to pay for it. At present, music vendors – specifically, the corporate music industry – wants one price for its products, but the rest of the world is either unwilling or unable to pay that price. At this point, we have a clash of ‘first principles’: is the corporate music industry entitled to demand its price, and otherwise withhold its products (and thus defeat the point of original aim of copyright legislation) … or, in the absence of any way to access the music at what it regards as a reasonable price – is the community entitled to take and enjoy the creative products anyway – as it did before the copyright compact was first legislated? So what does the community regard as a ‘fair price’? In America, it seems that the prices set by I-Tunes is about right; it seems by I-Tunes sales that once Americans could access their music at what they regard as reasonable prices, they largely turned away from ‘piracy’. Elsewhere, that ‘reasonable price’ is clearly much lower. In India and other poorer countries, it might be one cent, or even less – but the corporate music industry does not allow its music to be sold in those countries at an affordable price. In the end, the music corporations have broken their end of the social bargain: they take the community-given right to copyright and patent protection, but all too often refuse to accept the corresponding duty to provide the community with what it needs. If they stick their finger up at the community, they should be hardly surprised if the community takes back their income protection. And once again the music, movie and tv industries are crying save us!!!! Save us from technology. The same industries used the same cry when the radio, gramophone, CD, VHS, DVD (insert innovation here) were introduced. And instead of killing them it made them even more richer. The NZ government bows to the whims and childish tantrums thrown by these fools, and the Australian Gov’t if it hasn’t already will soon follow. Unfortunately my friends, Governments are there now to prop up outdated monopoly business models, not look out for the people who vote these leeches into power. It is disgraceful that our corrupt government is plotting ways to punish Australians for the benefit of rich US capitalists. They are supposed to defend us from foreign aggressors, not help these aggressors persecute us. Labour or Liberal, it doesn’t matter, they are both sycophants to the US. The MAFIA should have to pay each time they wish to harry internet users. Otherwise ISPs get flooded with violations notices from bots. Me, the wife and kids still go to the cinema…to see special movies like Dark Knight, Prometheus etc. Event movies people actually wanna see or ones we have heard that are good. We never pay full price…$20 a ticket is ridiculous. We pay $10 a ticket through our work. Thats a fair price than ANYONE would be willing to pay. Before the internet and downloading…the cinemas and tv stations would screw us over in Aus badly. I remember waiting amost 9 months to see Saving Private Ryan. We also tried to pay to see Django and Zero dark last xmas….but guess what? we had to wait till end of jan to see them…when there was perfectly good copies you could download and watch straight away. What would you do? Also why wait for weeks to see your fave tv shows on Aus tv when they screw you over….or pay ridiculous overpriced foxtel. What a joke. I worked for one of the larger ISPs in NZ whilst this legislation was being introduced. The overwhelming opinion of everyone dealing with it within the organisation, especially the legal team, was that it was the worst piece of legislation they had ever seen or dealt with. Essentially, copyright holders claims against individuals were taken as fact and there was no way for the accused to defend themselves. It is good to hear that the tribunal has been fairly even handed in it’s decisions so far, but that doesn’t make it a good process. I hope we don’t see something like this in Australia. Not because I don’t respect the rights of copyright holders to protect their material, but because we also have to respect the rights of individuals to defend themselves against accusations of illegal activity. 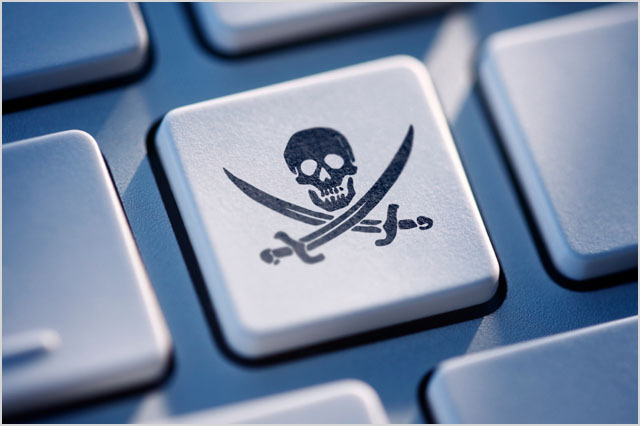 As many posters have already pointed out; the issue of piracy could be tackled in many more positive ways – mainly by embracing the technology that has facilitated the growth in piracy itself. People want what they want NOW, and if you simply give them a way to get that whilst still generating revenue for yourself, then you go a long way to solving the problem. Surely the success of Spotify in Aus (ALL the people I know who are in to music now use this service instead of illegally downloading) shows the way for the other content industries. The rule is, if you can read a one or a zero, you can write that one or zero. If you don’t want your bits copied, don’t digitize.